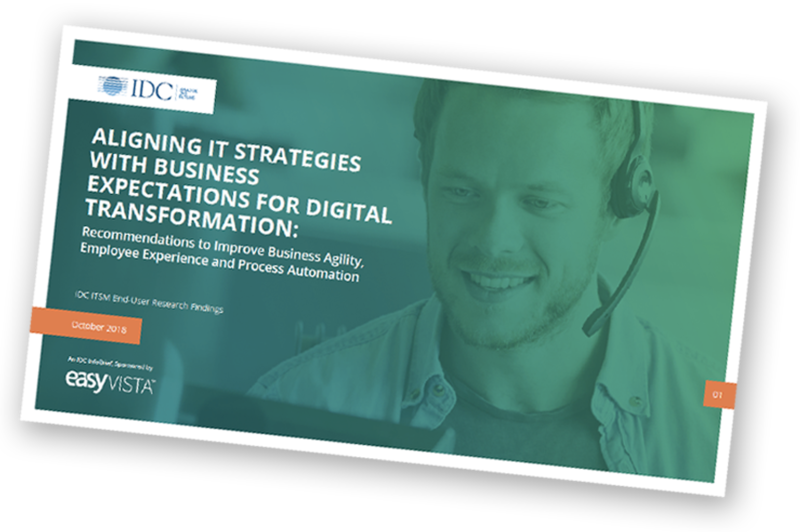 IT has an opportunity to support digital transformation across the enterprise, and an integrated ITSM tool is paramount to success. 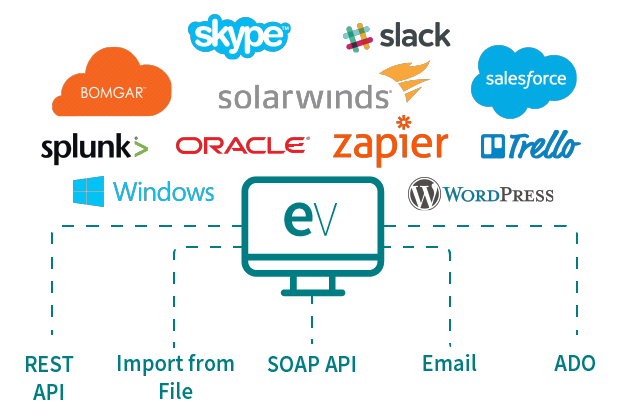 In contrast to the old, complex, or simple-but-not-sophisticated service desk solutions, EV Service Manager is a versatile, powerful, and easy way to manage service delivery for your organization. 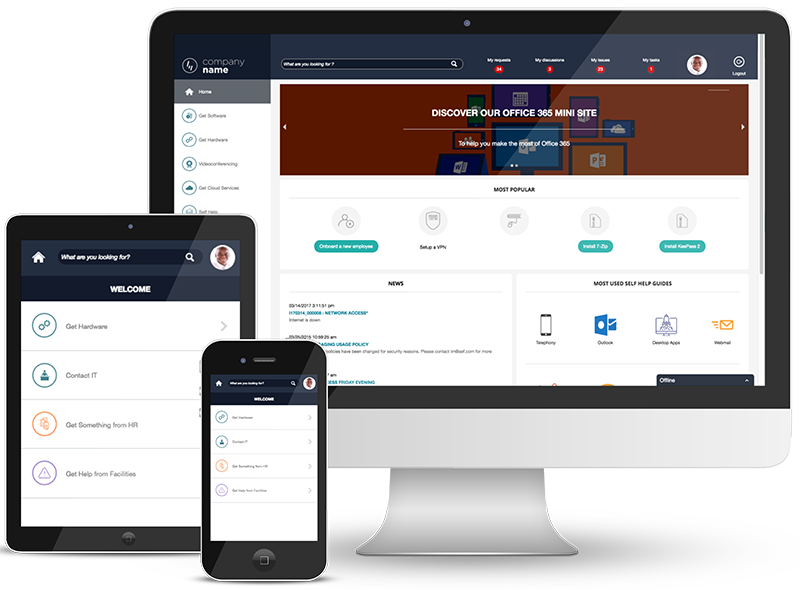 Our Service Manager platform supports even the most complex requirements, while bringing a new level of simplicity, agility, and mobility required to make ITSM easy to use and easy to deliver. Improve your IT maturity with Service Manager's robust automation engine that includes out-of-box support for the entire ITIL lifecycle, including 11 PinkVerified processes. 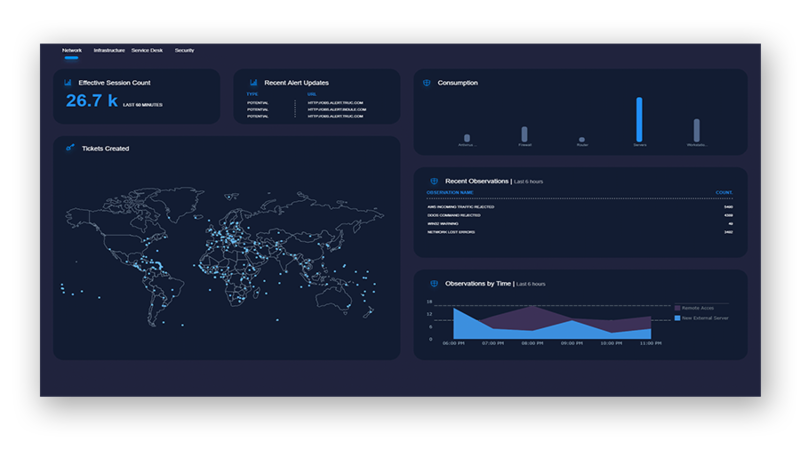 Our adaptable and smart interface includes the ability to integrate portals, dashboards, and 3rd party apps allowing you to deliver a user experience that provides access to all things important for your IT staff. 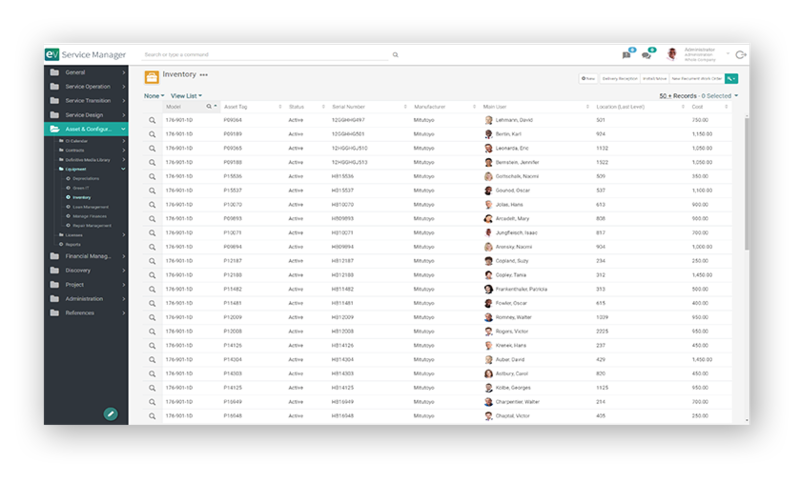 Easily deliver intuitive, responsive user experiences for any IT and business role, including IT self-service for employees, dashboards for management and staff, and apps for everyone, all using drag-and-drop capabilities with ready-to-use templates. filters, and searches using the EasyVista Intelligence Engine (EVie). Use the graphical process designer, 400 out-of-the-box wizards, powerful business rules, and a task scheduler to streamline complex processes into simple automated actions. 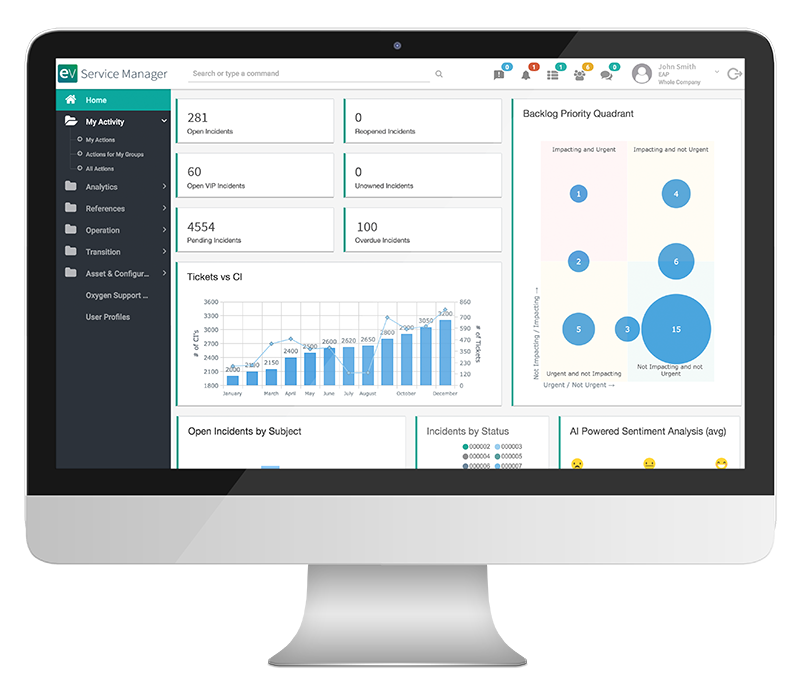 Capture and store historical data and use pre-built reports to visualize trends within your organization’s service delivery on dashboards available from anywhere. Automate the tracking of asset data with full asset lifecycle management while enabling staff to focus on higher-value activities. Optimize IT investments with better visibility into financial and service utilization data, like license compliance, asset depreciation, and budget allocation. 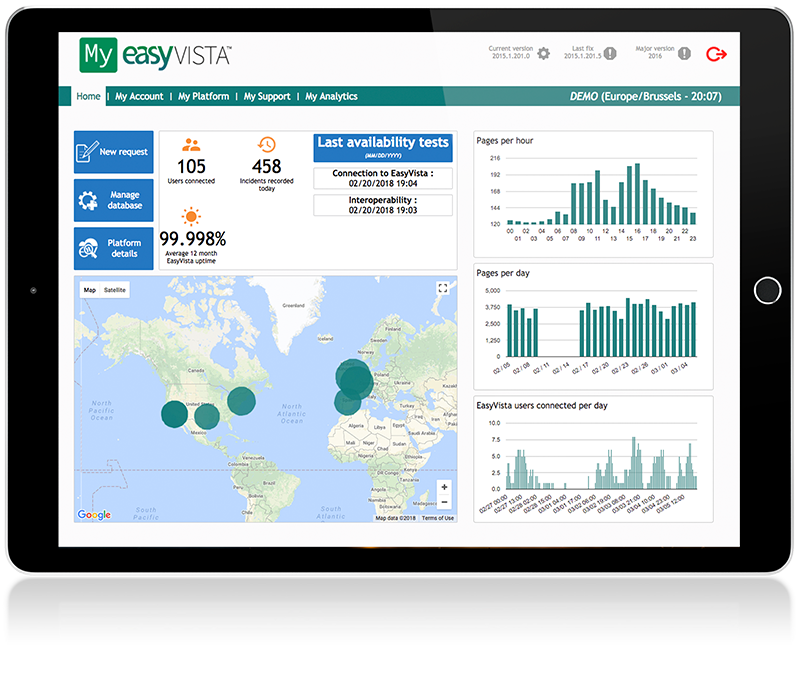 With SSAE-18 audited processes, big data analytics, and global datacenters, EasyVista's platform is delivered as a SaaS subscription (also available on-premises). Security, availability, and performance are assured while providing complete transparency via the MyEasyVista.com portal. Remain competitive, leverage technology advancements, and benefit from their unique capabilities by integrating with our IT solutions. EasyVista focuses on extending the value you can receive from integrations by connecting to them with an out-of-the-box API connector to help provide integration of data and functionality across platforms. Improve service levels while reducing IT costs. 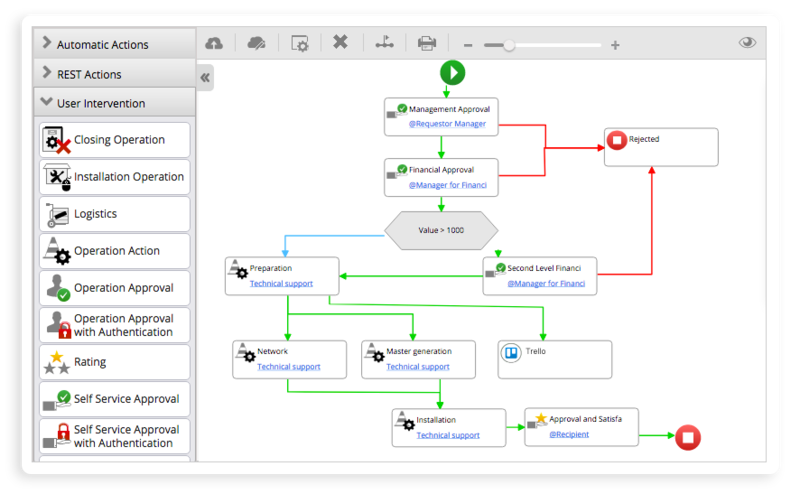 Regardless of your current IT or service management infrastructure, EasyVista's ITSM tool gives you broad coverage of ITIL process areas, provides an elevated, intuitive user experience, and makes configuration and implementation simple. 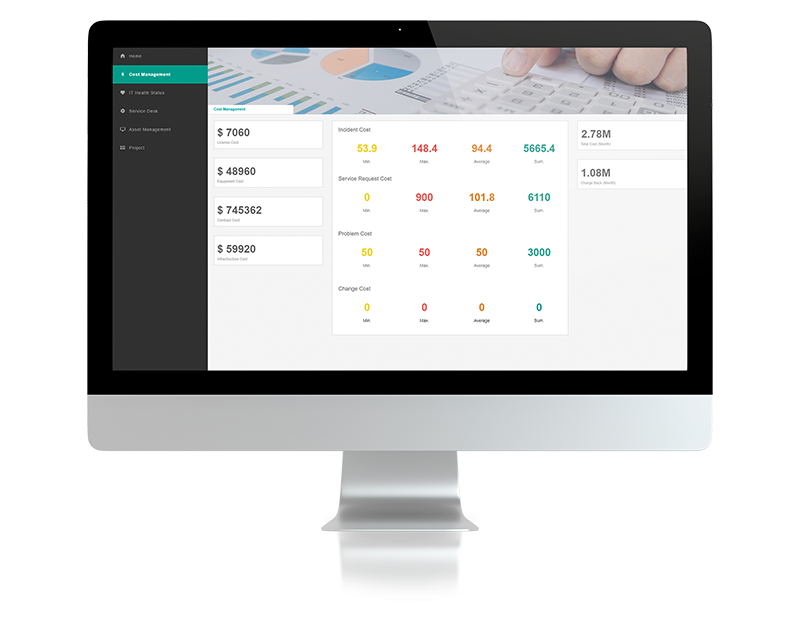 It's provable ROI and an easier job — all in one platform. Accelerate incident management handling with automated routing, flexible incident creation, and predictive search to speed up the resolution process. Identify, document and track recurring issues down to the root cause to help prevent them in the future. Easily create, integrate and ensure compliance of your change management process with a graphical workflow engine, configurable dashboards, and automatic alerts for competing or conflicting scheduled changes. Get complete visibility into your IT projects by tracking all tasks (and information related to those tasks) and associating them to tickets and timesheets. Ensure prompt and efficient delivery of any service by managing every request through a powerful workflow engine. Gain complete control over service level agreements and ensure service providers are delivering on their commitments. Speed up incident resolution and continuously improve your knowledge across the enterprise with a complete Knowledge Management lifecycle. Easily manage the complete asset management lifecycle from purchasing to decommissioning while understanding the relationship between your assets. Identify gaps between defined availability targets and actual availability for deeper analysis. 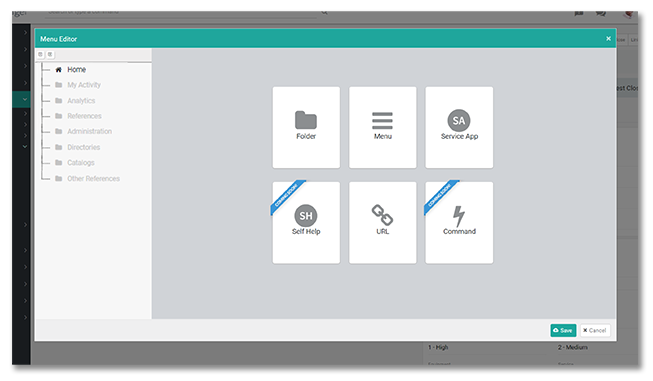 Empower your end users by designing easy-to-use web portals where they can submit and track any type of request, search knowledge, interact with the support team and log incidents. Understand how you deliver your service by linking every item to a workflow, support group, and SLA to ensure very repeatable and controlled inputs, processes, and outputs. Ensure every service meets business requirements at an appropriate level of investment by tracking the lifecycle of your services. Avoid conflict, coordinate the work and ensure smooth deployments by tracking the release of multiple changes in your environment. Understand the costs associated with the delivery of every service and its effects to charge-back. Understand and manage requests for new services to ensure you have the right capacity and the right level of investment. Ensure your organization has the capacity to deliver agreed upon services in a cost-effective and timely manner.